Nursery and Lawn & Garden Industries! and aged forest products with perlite for aeration. and DROP – It Doesn’t Get Any Easier! Our Spring Specials are NOW AVAILABLE! take advantage of these great prices! Introduced in 1968, PRO-MIX has always provided commercial growers and consumers with cutting-edge and value-added growing media products. PRO-MIX growing media are enhanced with high-performance active ingredients and are considered a reference in the market, as they represent innovative and unique solutions. 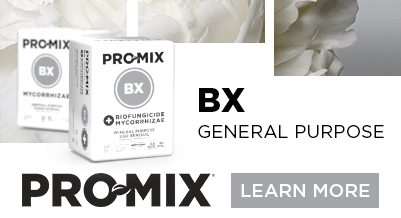 Fine-tuned for growers who seek efficiency, superior plant quality, disease suppression and resistance to environmental stresses, PRO MIX optimizes results. Choose PRO-MIX products with MYCORRHIZAE, BIOFUNGICIDE* or both to deliver outstanding plant quality and crop performance! 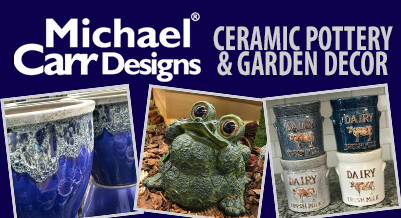 Michael Carr Designs is an exclusive line of high design garden pottery, fountains, statuary and bird baths. With fashionable colors, soft raining finishes and multiple styles, the Michael Carr Designs collection offers something for everyone. Our one-of-a-kind pottery collection is handmade, beginning with a craftsman molding the clay and ending in a rustic old world kiln that provides each piece with its own uniqueness. Available for purchase through BFG Supply. Grow Big, Grow at Home! Use Jack’s Classic fertilizers to grow and maintain your flowers, fruits and vegetables at home. Feed your plants with the best quality fertilizer to allow for continued plant health over time. A full line of fertilizer formulas made with the exact same quality raw materials that we use for the professional greenhouse grower - Jack’s Classic.